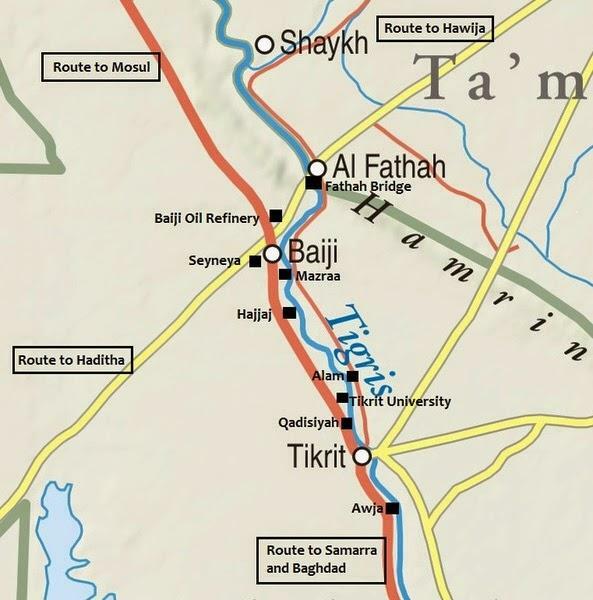 Iraqi forces are advancing towards Falluja and Ramadi, and today’s reports paint an optimistic picture. Nothing is easy or simple in Iraq, however, and we should continue to expect the unexpected. Winning battles around a city are not the same as winning in urban warfare. Even an entirely successful campaign in Falluja and Ramadi will not end the war, even in Anbar. It would be a huge hit to Daesh capabilities, and even more to its military reputation, but they still have the far western areas (Hit, Rawa, Rutba, Qa’im, etc.) and can remobilize themselves very soon. Most of the foreign jihadis in eastern Anbar would leave, but some would stay and blend in (cutting their distinctive beards), and the local Daesh supporters will still be in place for a comeback, applying a familiar Daesh strategy. Moreover, as today’s Baghdad reports continue to show, Daesh still has access to the city and can continue to arrange car bomb attacks. News reports today have focused heavily on the start of the battle for Falluja. An Anbar GC spokesman refutes yesterday’s optimistic report about clearing Saqlawiya completely from Daesh and says the military operations are still going on. He says Iraqi forces liberated large areas in Saqlawiya and raised Iraqi flags on governmental buildings used as Daesh offices, but they stopped the operations for a while to provide secure exits for civilians. The deputy chairman of the GC says Daesh terrorists are still in control of some parts of Saqlawiya but Iraqi forces are executing preemptive attacks on Daesh locations. The spokesman of the PMFs also takes issue with yesterday’s reports about liberating Saqlawiya but says Iraqi forces have captured many areas around it including the Technical Institute and the fuel station. Saraya Al-Khorasani, a Shia militia, says its troops captured two villages in Saqlawiya and are advancing to gain more areas. Another Anbar GC spokesman says 7,300 fighters from Anbar graduated from the training camps and most are participating in the fights around Falluja. He also says the Iraqi forces are surrounding Falluja from all sides and preparing to enter the city. He says Daesh killed a family trying to leave the city and is preventing civilians from leaving through the Al-Falahat crossroad. A PMF commander says Iraqi forces are 5 km (3 miles) from Falluja city center but are advancing slowly because of the difficult terrain and the car bombs and IEDs. A tribal leader says about 1,000 fighters from 3 local tribes are participating in military operations in Qarma and Saqlawiya. The Iraqi Federal Police (IFP) Commander says Iraqi intelligence communicated with 150 Daesh members in Falluja and got written commitments from them to stay in a mosque and not fight the Iraqi forces when they break into the city. The MoD says the Coalition launched 2 airstrikes on Daesh locations in Falluja, killing 7 terrorists. A tribal leader says Daesh shelled Khaldiya with mortars heavily since Thursday night and was bringing car bombs and armored vehicles in preparation for a major attack. He also says the military situation in the city has become critical. A source in Anbar Operations Command says security forces and tribal fighters supported by the IAA stopped a major Daesh attack on the Al-Jazeera area in Khaldiya. A security source says 2 local policemen were killed and 3 injured when a Daesh car bomb attacked their checkpoint at Khaldiya’s entrance. Daesh says it attacked Iraqi forces in Khaldiya with 2 car bombs. An unidentified source tells Rudaw Kurdish TV that Daesh attacked Iraqi forces heavily in Khaldiya, starting with 2 car bombs that forced them to retreat into the city. The source says 20 Iraqi soldiers were killed and 30 injured in the attack. A video from local sources on Facebook about the Coalition airstrikes on Daesh in Khaldiya. The source of the video says the Daesh attack was foiled. Daesh publishes photos of the battles in Khaldiya. And photos of attacks on the Iraqi forces near Habbaniya. And executing an Iraqi soldier somewhere in Anbar. The IWMC says two Iraqi soldiers from Jazeera Operations Command stopped 2 car bombs coming from the Baiji road to attack Haditha Dam. It says PM Abadi has ordered that the two soldiers be honored. Al-Jazeera Operations Command says its troops, supported by the Anti-Terrorism Service and tribal fighters, liberated Sinjik in Parwana subdistrict near Haditha, killing and injuring dozens of Daesh fighters. Daesh says it advanced in east Anbar and killed many Iraqi soldiers and destroyed many vehicles. It also says its forces captured an Iraq brigadier general and 3 soldiers. A security source says a car bomb exploded on the Iraqi Army checkpoint in Nukhaib in south Anbar killing 2 soldiers and injuring 6. A PMF commander says Iraqi forces killed a Daesh leader in Dhira Dijla in Anbar. A PMF commander says Iraqi forces stopped an attack by Daesh car bombs and suicide bombers in Al-Kasra, near Rutba in western Anbar. PM Abadi issues a statement after meeting with Anbar Governor and GC, saying Iraqi forces are conducting military operations to liberate not only Falluja but Ramadi also. The IFP commander says the Cornet Missile Battalion destroyed 3 car bombs and an armored vehicle trying to attack Iraqi forces in north Baiji. He also says Iraqi commandos killed 4 terrorists and destroyed 2 vehicles attacking Iraqi forces near Baiji refinery. An MP from Salahuddin says 2,000 displaced families have returned to their houses in Al-Dour district and asks the government to help them with their farms, since agriculture is their main source of living. Local sources say Daesh terrorists coming from northwest Anbar attacked Iraqi forces in west Samarra, killing 3 PMF fighters and injuring 11. A PMF official says Iraqi forces stopped a Daesh attack on the Strategic Line west of Samarra, killing 7 terrorists. A security source says Daesh executed 3 people by firing squad in Shirqat, accusing them of collaborating with the Iraqi forces. DaeshDaily comment: These repeated incidents of ISIS violence and intimidation against Shirqat residents seem to reflect its fear that their control of the city is now at risk. Daesh media work in Shirqat. An MoI source says a roadside IED exploded in Rashdiya in north Baghdad killing one civilian and injuring 8. A security source says 2 civilians were injured in a roadside IED explosion in Tarmiya in north Baghdad. An MoI source says a sticker IED exploded under a small bus in Sadr City, injuring 6 people. A security source says a school headmaster was killed and his son severely injured when an IED exploded on their car in Dora in south Baghdad. A security source says an IED exploded in Mada’in in south Baghdad, killing 2 civilians and injuring 5. A security source says an IED exploded near an electronic games café in Mada’in, killing one civilian and injuring 6. An MoI source says the casualty toll of the car bomb in Zaafaraniya yesterday went up to 6 killed and 25 injured. Former PM Maliki says if the US were serious about arming Iraq we wouldn’t have this dangerous security deterioration. He also says what the US provided was not enough and Iraq had to find other weapons sources like Russia, Iran, Korea and Bulgaria. He says the Coalition airstrikes on Daesh achieved only 10% of what the Iraqi forces are achieving on the ground. Another video about how Daesh booby-traps houses. A security source says Daesh attacked Al-Shaheed compound in south Kirkuk but the Peshmerga stopped the attack, killing 8 terrorists and destroying a car bomb. A source in Diyala police says an IED exploded inside a small bus in Balad Ruz, 55 km (34 miles) northwest of Baquba, killing the driver. Diyala GC chairman says 248 displaced families will return to their houses after Eid, according to a deal with the security leaders. A security source says unknown armed men opened fire on a barber shop in Muqdadiya, killing 3 civilians and injuring 2. Security officials in Diyala say the security situation improved significantly in the governorate after the liberation of Mtaibija, between Salahuddin and Diyala. Daesh opens a public phone booth in Tal Afar. A local source says Daesh executed 12 people by crushing them under a construction shovel in Bab Al-Tob in downtown Mosul, after accusing them of spying. DaeshDaily Comment: Daesh usually likes to show such gruesome executions, so we can only confirm this news from their publications. A local source in Mosul says Daesh issued orders to prevent any Eid (end of Ramadan celebration) prayers in the city’s mosques except in two locations it designated, one on each side of the city. The Security and Defense Committee in the Iraqi Parliament (IP) says the final report about the loss of Mosul in June 2014 will be submitted to the IP leadership in a public session by the end of the month. A Kurdish official says unknown armed men shot and killed a Daesh “emir” and 2 of his associates in Wadi Al-Hajar south of Mosul. Kata’eb Al-Mosul says its fighters attacked a Daesh checkpoint south of Mosul and killed 3 terrorists. They also say one of their snipers killed a Kurdish Daesh terrorist in the Saddat Al-Rashdiya area. Daesh publishes a video about Tal Afar. And a tribal pledge of allegiance gathering for the Jubour tribe south of Mosul. DaeshDaily Comment: The majority of Jubour tribal fighters are fighting against Daesh in Ninewa and Salahuddin. Ninewa policemen say they object to the MoI order to move their training camps from Erbil to Baghdad. A list of Daesh conditions on people who want to leave Mosul. Sistani’s representative in Kerbala say the many bodies of foreign terrorists after the recent fights in Baiji and other cities prove that neighboring countries are still not serious about preventing Daesh terrorists from coming to Iraq. Syrian official TV says Daesh shelled an official building in Hasaka with mortars, causing a big fire. A Syrian military source says Daesh detonated a third car bomb on the east side of Hasaka without giving any more details. A Kurdish source says Daesh attacked the Kurdish forces in Hasaka with 3 car bombs to stop their advances. The source also says the Syrian regime’s air force launched 8 airstrikes on Daesh in Hasaka, while the Coalition bombed Daesh in the eastern areas of the city where the Kurdish forces are fighting. Kurdish forces say they liberated Abu Amsha village in south Hasaka from Daesh but Daesh attacked them with a car bomb and the clashes are still going on. They also say the Kurdish forces liberated some areas south of Kobane and killed at least 24 terrorists in Ain Eissa. A Kurdish military source says Daesh attacked a Kurdish training camp in Alia between Tal Tamr and Ain Eissa, killing at least 20 Kurdish fighters. Daesh started the attack with 3 car bombs, then the terrorists came in dozens of armored vehicles. The source says the Kurdish fighters stopped the attack and the Coalition bombed the camp’s perimeter, destroying Daesh vehicles and killing dozens of terrorists. Local sources say Daesh has been shelling a Kurdish area in Reef Al-Bab in Aleppo with mortars for two days now. They say many civilians have been killed, including a woman and 3 children. A local source says Daesh attacked the Syrian army forces in south Hasaka and the results of the attack are not clear yet. Rudaw TV reporter says the YPG and Burkan Al-Furat forces supported by Coalition airpower regained control of the areas taken by Daesh in Ain Eissa, 80 km (50 miles) southeast of Kobane, after killing dozens of Daesh fighters. The media officer of Islamic Ahrar Al-Sham movement says they arrested 15 Daesh members in Al-Nairib town south of Idlib and confiscated weapons and communication devices. Daesh publishes photos of cutting off a man’s foot publicly in Hama. And their flags in Al-Qastal town in Hama. Turkish police launched a major security campaign in 4 cities, arresting 21 Daesh suspects, including 3 foreigners trying to travel to Syria to join Daesh. Turkey’s President Erdogan says his country has arrested 1,300 foreigners linked to Daesh so far. He says Daesh is being supported by the Syrian regime in order to “break the demands” of Syrian people. He also says there is lack of information exchange between the world’s countries regarding counterterrorism. The spokesman of the Egyptian Army says the Egyptian military bombed an explosives storehouse in Sheik Zwaid based on intelligence information. He also says the Special Forces destroyed a truck filled with weapons and ammunition, killing 2 terrorists inside. Security sources say a woman and her 4 children were killed when a mortar shell fell on their house in Sheik Zwaid. No information was provided about the source of the shelling. Tunisian sources say 5 terrorists were killed and 2 security officers injured in a raid on armed groups in Qafsa. The Tunisian authorities have arrested 127 suspects since the terrorist attack in Sousse. Medical sources say 5 more Libyan soldiers died from their wounds in Wednesday’s battle against Daesh in Laithi. The sources say 19 soldiers were killed and 80 injured. Local sources say Daesh detonated the house of a former Libyan MP in Sirte. Eyewitnesses say Daesh terrorists organized a parade in Sirte and raised their flags on governmental buildings. Eye witnesses says two synchronized attacks targeting two hotels in Mogadishu in Somalia, killed at least 5 people and injured many others including a Somali MP. Al-Shabab claimed responsibility for the attacks. Daesh publishes a video of its operations in West Africa. The PMFs in Anbar say they liberated Saqlawiya completely from Daesh and raised Iraqi flags on its buildings. They say dozens of Daesh terrorists were killed and many of their vehicles destroyed including 3 car bombs. A colonel in Anbar Operations Command says 80% of Saqlawiya was liberated, with Daesh still in control of a few “weak pockets” that are being targeted by the Iraqi forces. He says Iraqi ground forces supported by Coalition airpower attacked Daesh locations between Saqlawiya and Falluja to cut Daesh supply lines and destroy their weapons storehouses. A security source says Iraqi forces destroyed a car bomb attacking them in Hitawiyeen south of Falluja. A source in Falluja hospital says 3 civilians were killed, including a child, and 7 injured from Iraqi forces bombing their houses outside the city. DaeshDaily comment: Such a report is plausible, and we have now seen a few of them. However, such reports from a Daesh-controlled hospital are impossible to evaluate at face value. Daesh publishes a video of the battles around Falluja. Ameriyat Al-Falluja police commander says “positive developments” will happen in the coming days regarding the liberation of Falluja. He says Iraqi forces are advancing towards Falluja from three sides. 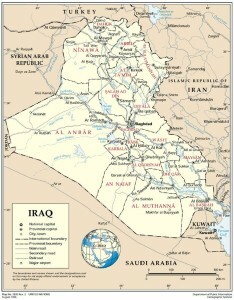 Ameriyat is a subdistrict of Falluja. A source in the Iraqi 1st Intervention Division says one of its units clashed with Daesh in Subaihat near Qarma, killing 2 terrorists and destroying a vehicle and a rocket launcher. He says the Division destroyed 2 booby-trapped homes in Subaihat without casualties. A source in Anbar Police Command says Iraqi ground forces from the Army, Police, SWAT, and tribal fighters launched synchronized attacks on Daesh in Qarma, Al-Qa’im and Hit killing 21 terrorists, including foreigners, and destroying 7 vehicles and 2 car bombs. A security source says Iraqi forces carried out military operations in Zoba’a villages southeast of Falluja, killing dozens of Daesh fighters. Daesh publishes the fights in Zoba’a. A source in Jazeera Operations Command says the IAA launched airstrikes on Daesh locations in Hit, Rawa, Baghdadi, Haditha and Al-Qa’im killing dozens of Daesh terrorists. Daesh publishes photos of Sahwa members in Parwana, in Haditha, and says they were arrested and executed. DaeshDaily Comment: Usually Daesh publishes photos of its prisoners alive and then executes them, but that was not the case here. The photos seem to be for people who died in the battles. A security source says Iraqi forces supported by PMFs clashed with Daesh in Al-Jazeera in Khaldiya subdistrict east of Ramadi killing 5 terrorists including 2 foreigners. A security source says the IAA launched an airstrike on Daesh locations in Al-Tash in south Ramadi, killing 3. The leader of Albu Nimmr tribe says Daesh is trying to compensate for its losses in Qarma and Saqlawiya by preparing a major attack from 3 sides on Haditha. He says Daesh wants to control the city in order to control the Haditha Dam and the Ain Al-Assad military base. DaeshDaily comment: With so much government attention on Ramadi and Falluja, the possibility of a Daesh counter-move against Haditha deserves concern. The IFP Commander says the North Baghdad Brigade in the IFP targeted 2 Daesh armored vehicles between Siniya and Baiji with Cornet rockets, killing 4 terrorist leaders. A security source says 2 employees of the Tikrit health directorate were killed when an IED, planted in the secondary roof, exploded inside the directorate’s building in Tikrit center. A report about the PMFs training children on weapons in Balad in south Salahuddin. A security source says an armed group kidnapped 5 civilians in Tuz east of Tikrit. He says the body of one of them was found later. Daesh publishes photos of its terrorist detonating an Iraqi Army military shovel in west Baiji. And destroying an Iraqi tank with a Cornet rocket in east Baiji. Daesh pamphlet distribution in Salahuddin. COMSEC issued instructions to all government directorates to re-audit the salaries of the government employees in areas outside the government control. They said the Council of Ministers has ordered establishment of a new procedure to distribute salaries, and to consider them “compulsory savings” for out-of-reach employees. A security source says a civilian was killed and 8 injured in an IED explosion in Al-Furat neighborhood in south Baghdad. Another source says one civilian was killed and 4 injured in an IED explosion in Bayyaa in south Baghdad. A security source says bodies of two unknown women were found in Dora in south Baghdad. A police source says an IED exploded on the roadside in Yusufiya in south Baghdad injuring one civilian. A security source says an Iraqi soldier was killed and 4 injured when an IED exploded on their patrol in Taji in north Baghdad. An MoI source says a PMF fighter was killed and 2 injured when an IED exploded on their car in Zaafaraniya in southeast Baghdad. Another source says 2 civilians were killed and 23 injured in a car bomb explosion in Zaafaraniya. The Kata’eb Hezbollah (KH) militia mourns the death of its first Iraqi Christian fighter killed in the battles against Daesh. His funeral was held in Baghdad. Local sources say a Sahwa commander was killed and two members of his family severely injured when an IED exploded on his personal car in Hashemiya northwest of Baquba. A report about the displaced Yazidi families in Dahuk. A local source in Mosul says the Coalition bombed a Daesh 3-car convoy in Mahalbiya west of Mosul, killing 6 terrorists and injuring others. Daesh publishes a video of the fights with the Peshmerga. Daesh publishes photos of Zakat (Islamic tax) distribution in Baaj, the district in south Ninewa. The KRG’s PM says the economy in Kurdistan might collapse because of the fights against Daesh and because of 1.7 displaced people in the Region. He says the current agreement with Baghdad is not working. A Shia MP says Iraqi is facing a financial problem that didn’t allow the government to keep its deal with the KRG. He says he is optimistic about reaching a solution during the coming months when the oil market improves. DaeshDaily comment: Because Iraq gets the vast majority of its revenues from oil, the large drop in international oil prices has created a major financial problem for the government. This helps to explain some of our news items about payments delayed or not received. The additional costs imposed by the war make everything worse. The KRG’s PM says the priority of his government is the Kurdistan in Iraq and the PKK are only guests and have to go back to their country one day. A member of the PKK replied they are not guests in any area of greater Kurdistan and they are fighting in all four parts of it (Iraq, Syria, Iran and Turkey). Daesh Daily comment: The PKK’s military safe haven in Iraqi Kurdistan is a long-standing problem for which the Kurds now need a solution. The PKK’s mission has been a greater Kurdistan unifying the Kurds in all four countries. There are hopeful maps displayed in the KRG that show this intended nation. It would subtract a huge amount of territory from Turkey, where the largest number of Kurds live, which explains Turkey’s hostility to the PKK and to its affiliated YPG fighters in Syria. The KRG now needs a closer political relationship with Turkey, in part to help enable its own independence. It would like the PKK to leave, but it has so far been politically unthinkable to force them out. A security source says an IED exploded on a police patrol in Suwaira north of Kut, in Wasit Governorate, killing the patrol’s officer and injuring 2 other policemen. A website close to Daesh in Iraq says a truck bomb exploded in Jbala in north Babel, without giving more information. Local activists say a Daesh terrorist from Uzbekistan was killed by a Coalition drone while in his car in front of a hotel in Raqqa. Daesh says it is still in control of Ain Eissa in north Raqqa (video). Daesh publishes a photo of the suicide terrorist who attacked Al-Jabha Al-Shamiya (a coalition of armed opposition groups in north Syria) with a car bomb in Aleppo. The PYD refuses to allow the Syrian Kurds forces that were trained by the KRG to return to Syria and denies there was any agreement about that. KRG officials are meeting with the PKK in the Qandil Mountains in the IKR to discuss the issue. A leader in the PYD says the troops were a “Trojan Horse” intended to help establish a self-governing administration in the Kurdish areas in Syria. DaeshDaily comment: At first reading, the above makes little sense. This is another of the bewildering complications of the Syria side of the conflict, but it affects the Iraq side too. The Democratic Union Party (PYD) is the political party behind the YPG, the Kurdish forces in Syria. Because of its affiliation with the separatist PKK in Turkey, it is totally distrusted by Turkey, but it has recently opposed the PKK’s call for a greater Kurdistan that would include Syrian Kurds. (See comment above) The PYD is caught in the middle, as the KRG is caught in the middle, as Turkey is caught in the middle. We have no confidence this explanation makes the situation any clearer. Local sources say Daesh is moving ahead in the southern areas of Hasaka while the government forces are retreating. They also say Syrian and Coalition airpower are both completely absent in Hasaka, and the Syrian artillery stopped yesterday. Another activist says the government kept on bombing Daesh locations in southern Hasaka and Daesh is using antiaircraft thermal rockets. Local sources in Hasaka say a Tunisian Daesh “emir” and six others defected from Daesh in south Hasaka and escaped to an unknown location with 6 million dollars. DaeshDaily comment: What is this world coming to when you can’t even trust psychopathic terrorists? Syrian activists say the government’s forces are advancing towards Tadmur and are 5 km (3 miles) from the city. Daesh rehabilitation services in Tadmur. Local activists in Deir Al-Zor say Daesh issued orders for the city’s butchers to enter “redemption sessions” and threatened to prevent them from practicing their job if they don’t attend. A recent poll in Turkey shows that more than 90% of Turks are against any interference in Syria. The Tunisian Prime Minister says the Tunisian army is building a fence on the borders with Libya to prevent the terrorists from crossing. He says the wall will be done by the end of the year. The authorities also shut down 9 illegal mosques in Al-Qasreen. DaeshDaily Comment: Daesh typically infiltrates areas by establishing small mosques outside the official religious establishments to attract young men dissatisfied with the status quo. Daesh says it stopped a Libyan forces attack on the Laithi area in Burqa. A Libyan military source says Daesh attacked Libyan forces and killed many commando fighters but the Libyan forces followed them and killed 7 terrorists and injured many others. A Libyan security source says a convoy of Daesh terrorists arrived in Sirte from Sudan two days ago. Libyan sources say a commander in Fajr Libya militia was killed and 4 other people injured when an IED exploded in his car in Misrata. A PMF Commander says Iraqi forces are surrounding Falluja and the PMFs are 5 km (3 miles) from the city center. He says the Iraqi forces are approaching Falluja over the Japanese Bridge, retaken from Daesh two days ago. Iraq War Media Cell (IWMC) says the Iraqi 1st Rapid Intervention Division destroyed a tank bomb attacking Iraqi forces near the Falluja industrial area. IWMC also says Iraqi forces destroyed a Daesh vehicle carrying a machine gun in Harariyat in east Falluja. Anbar GC announced Tuesday that Iraqi forces captured the Rmaila area in Saqlawiya subdistrict north of Falluja. A member of Anbar GC says the Iraqi forces have recaptured much of Saqlawiya but are moving slowly because of the IEDs and to minimize civilian casualties. A source in Anbar Operations Command says Iraqi forces liberated 4 areas in Saqlawiya, killing dozens of Daesh terrorists. He predicts Saqlawiya will be liberated completely in the coming hours. Iraqi MoD says the IAA bombed a Daesh location in Saqlawiya, killing 7 terrorists. It also says the IAA launched an airstrike on a Daesh hideout in Albu Shijil north of Falluja, killing several fighters and destroying a vehicle. The Deputy Chairman of Anbar GC says Iraqi forces are focusing on Saqlawiya because it is the last “exit” of Daesh from Falluja. He says if the Iraqi forces liberate the town, Falluja will fall easily after that. However, local sources in Falluja say Daesh trapped a PMF force at the Technical Institute between Saqlawiya and Falluja and captured 30 men. Another tribal source says they were captured near the Japanese Bridge and taken to the city. Daesh says it shot down an Iraqi helicopter trying to bomb Saqlawiya. A member of Khaldiya District Council says Iraqi forces stopped their military operations between north Falluja and east Ramadi to secure access routes for civilians to leave. However, eyewitnesses say Daesh has deployed hundreds of men around Falluja to prevent civilians from leaving the city. Anbar Operations Command issued orders to open the Al-Falahat crossroad west of Falluja for the families to leave, but Daesh raised the “leaving fees” from 500,000 ID (around $400) to 1,500,000 ID. A doctor in Falluja hospital says 11 civilians, including 4 children and 2 women, were killed in the Iraqi forces bombing. The Chairman of Anbar GC asks the Iraq government to stop bombing the civilians in Falluja. He says Daesh is using the civilians in Falluja as human shields. He also says 7,000 local fighters are fighting with the Iraqi PMFs. In response to the criticism about bombing civilians in Falluja, the MoD spokesman says the Ministry keeps records of all IAF and IAA airstrikes and that airstrikes are carried out by experienced pilots who know the difference between civilian and Daesh locations. The PMFs say Daesh detonated Albu Amer Bridge in Falluja in order to prevent the Iraqi forces from advancing into the city. Daesh publishes photos of dead Iraqi soldiers in Falluja. Daesh publishes a video of beheading an Iraqi soldier. Daesh publishes photos of the clashes with the Iraqi forces in Zoba’a. A local PMFs Commander says the Iraqi forces implemented a military operation in Qarma, killing 14 Daesh terrorists. He also says Iraqi forces are close to the Police Department of Qarma, moving ahead slowly because of the IEDs, but will capture the subdistrict building in the coming days. The IWMC says Iraqi Federal Police launched a preemptive attack on a Daesh hideout in Hsaiba east of Ramadi, killing 10 men and destroying a fuel tank bomb. A security source says Iraqi Army Aviation struck a Daesh headquarters in Hit after getting intelligence information. The source says 15 Daesh leaders were killed in the airstrike including Daesh’s finance and admin officer in Anbar. PM Abadi orders Iraqi SWAT forces to Haditha after meeting with Anbar’s Governor. Daesh has launched multiple attacks on the city and captured a village near Alus on Monday. A member of Anbar GC says the people of the village didn’t have any time to leave their houses before the attack and there is no news about them. Iraqi fighters in Haditha say Daesh continues its attack on the city, and has used 20 car bombs, but the attacks are unsuccessful so far. Dijla Operations Commander says the liberation of Mtaibija between Diyala and Salahuddin was done in record time, 6 hours, and was a big achievement for the Iraqi forces since it cut an important Daesh supply line. He also says the Iraqi forces found 5 training camps and several explosives workshops. Iraqi Federal Police Commander says a Police Commandos unit arrested 6 Daesh terrorists who tried to sneak from Fatha into Tikrit to establish terrorist cells behind the Iraqi forces’ military lines. The Commander of the Iraqi Army’s 7th Brigade says his troops arrested a group of Daesh collaborators in Yethreb claiming to be PMF fighters. He says the group enters the liberated areas with the PMFs searching for weapons and explosives, then delivers them to Daesh in other areas. DaeshDaily Comment: The news about fake PMFs is consistent. The PMFs gained a lot of popularity and government support and it became a “business” opportunity for many people. The loose instructions under which some PMFs work make it easier to infiltrate the security establishment in Iraq for all kinds of criminal activities. A security source says a foreign 10-year-old boy executed an old school teacher publically in Shirqat for opposing Daesh. Daesh says it attacked the Iraqi forces in Fatha, killing many soldiers and destroying a Humvee. Daesh publishes (most likely old) photos of the battles near Samarra. A judicial source says the Central Criminal Court of Iraq sentenced to death 24 people who committed the Camp Speicher massacre. The names of the convicted criminals were published. Four other suspects were released. A member of the Security and Defense Committee in the Iraqi Parliament says they have no confirmed information about the reported death of Daesh leader Baghdadi in an IAA airstrike on Mosul, mentioned in some media outlets. He says the IAA has targeted dozens of Daesh hideouts recently and many Daesh leaders were killed. The Iraqi Justice and Accountability Commission says it obtained confessions from Abdul Baqi Al-Saadoun, a top Baath party leaders captured a couple of weeks ago, about the party’s sleeper cells and links to terrorist groups. A security source says 2 civilians were killed and 8 injured when an IED exploded near shops in Taji in north Baghdad. An MoI source says one Ministry of Industry’s employee was killed and 3 injured when an IED exploded on their government car in Tarmiya in north Baghdad. DaeshDaily Comment: Most IED explosions in Baghdad are done by Daesh, but some are done by criminal or political groups or individuals. In a recent incident a sticker IED was planted under the car of a government employee who refused to sign for a corrupt scheme to provide illegal benefits for an Iraqi minister. The “armed corruption” in Iraq is hard to deal with treat and Daesh is one product of this corruption. The Finance Committee in the Iraqi Parliament says the recent Iraqi Federal Court order to overrule some items in the national budget will benefit Daesh. The Committee says some cancelled items were intended to support the PMFs and the displaced families. A Sunni MP says the Court’s decision will send a wrong message (to Sunni people) saying “we don’t want you in the PMFs”. Vice President Osama Al-Nujaifi asks the Iraqi government not to cut the salaries of the government employees in Daesh controlled areas. Many other Sunni politicians also urged the government to keep paying the salaries. However, a Shia MP says Sunni politicians are trying to finance Daesh indirectly, since half of the salaries are taken by Daesh. The KRG decides to sell its oil directly and without approval from the central government and transfer the money directly to the KRG Ministry of Finance. A Kurdish official says they did that to overcome financial problems in the Region and to make sure salaries are paid on time. He also says they got guarantees from Turkey they won’t face any obstacles in selling the oil. The head of the Oil and Gas Committee in the Iraqi Parliament says this is the first step in dividing Iraq. A video of an AHH officer showing a booby-trapped house. An anti-Daesh Facebook page publishes names and photos of Daesh terrorists. Dijla Operations Commander refutes the reports about Daesh activities in Qara Tappa and says the Diyala governorate is completely liberated from Daesh. He concedes there are Daesh sleeper cells in Himrin Hills but Iraqi forces are targeting them and killing their members on a daily basis. Local sources say an Iraqi soldier was killed and 2 injured when an IED exploded on their patrol in Imam Wees northeast of Baquba. The KRG President Masoud Barzani visits Kirkuk and meets with the provincial government and the Peshmerga commanders. Barzani asks the Peshmerga to “keep the momentum” in the fight against Daesh. Daesh publishes photos of shelling the Peshmerga in Makhmur. Al-Azhar Mosque, the highest religious authority in Egypt, repudiates the bombing of Um Al-Maouna Church by Daesh in Mosul. A local source in Mosul says Daesh publicly executed 6 Iraqi Army officers from the 2nd Division by firing squad. The officers were captured last year when Daesh took over the city. A health source in Mosul says the forensics department received 18 bodies of Daesh terrorists killed in the recent attack on Sinjar. A pro-Daesh Facebook page from Mosul. A report about displaced families in Hasaka. Daesh hacks the website of the Syrian Observatory for Human Rights. A local source from Raqqa says Daesh issued an ultimatum for the Kurdish residents to leave the city within a week. Syrian Kurdish forces say they stopped Daesh attacks on several areas between Kobane and Hasaka. They also started a counter offensive in Ain Eissa and say they killed all Daesh fighters who were trapped there. Daesh says some of its terrorists sneaked into a village in south Kobane and killed many Kurdish fighters. Daesh also says one of its men attacked the Kurdish forces in south Kobane with a car bomb, killing many of them. Kurdish military sources say Daesh attacked Kurdish forces southeast of Suluk with a car bomb, killing 3 fighters and injuring 4. They also say the clashes continue near Alia and Ain Eissa and in south Kobane, and the Coalition is bombing Daesh heavily in those areas. Local sources in Hasaka say Daesh attacked some areas controlled by Syrian government troops and its militias, but the government recaptured parts of the Guwairan neighborhood. Daesh says it captured Guwairan and other areas from the Syrian regime in Hasaka. Daesh summer camp for children in Aleppo. Daesh publishes photos of the “Alawite- Crusaders” airstrikes on Tadmur. The Morocco Ministry of Interior says the 9 Daesh terrorists arrested recently were planning to carry out several “individual jihad” operations in the Kingdom, including assassinations and suicide attacks. Daesh says the Chad military tried to arrest a Daesh terrorist at his house and he detonated himself, killing 5 soldiers. PMF leaders say they are “not in a hurry” to start Anbar liberation battles and the siege will take a long time. They say they will allow more time for civilians to leave. They say plans include minimizing PMF casualties and cutting Daesh supply lines from Salahuddin and Ninewa. A security source says Iraqi forces killed a Daesh Iraqi leader called Abu Talha Al-Baghdadi in Haditha in west Anbar. The Iraq War Media Cell (IWMC) says the IAA destroyed a Daesh location and an armored vehicle in Haditha. It says the IAF launched an airstrike on Parwana near Haditha and killed 18 terrorists. However, a tribal leader from Albu Nimmr said yesterday dozens of fighters from his tribe were killed or injured in clashes with Daesh after the Iraqi army withdrew from Parwana. A security source refutes reports of Parwana falling to Daesh and says it is still under Iraqi control. Local sources say Iraqi forces supported by air power are still fighting Daesh in Parwana and Alus near Haditha. The Commander of the local PMFs in Qarma says 35 Daesh fighters surrendered. He says they were local men who joined Daesh in 2014. The IWMC says Baghdad Operations Command forces, Iraqi Federal Police, PMFs, and tribal fighters, supported by Iraqi and Coalition air power, launched several operations around Qarma that killed 23 Daesh terrorists and destroyed 3 car bombs and several other vehicles and hideouts. The MoD says the Iraqi Military Intelligence Service launched a rocket attack on an explosives factory in the industrial area in Falluja, killing 7 terrorists including 3 foreigners. A member of Anbar GC says 500 tribal fighters graduated from the training camps and are ready to participate in Anbar liberation battles, but are still waiting to be armed by the government. Leaders from Albu Shaaban tribe say Daesh recruited boys 12 and 13 years old from several Anbar tribes and is training them in special camps in Rutba, Hit and Rawa. They say some of these boys were killed by the Iraqi forces and ask the government to hasten the operations to liberate Anbar. An Iraqi news agency reports that the Iranian general Qassem Sulaimani from the Revolutionary Guard is back in Iraq and is preparing plans to attack Anbar. The Commander of the Iraqi Special Forces says Baiji is under the control of the Iraqi forces, but military operations will continue to free some areas around the refinery. Local sources say Daesh regained control of several areas in west Baiji, and Al-Malha and Al-Mazraa in the south. The sources say Daesh attacked the Iraqi forces with several car bombs and suicide bombers and forced them to retreat. A security source says 10 Iraqi soldiers were killed and 35 injured in 3 car bomb attacks on the Iraqi forces in Baiji. A security source says Daesh is preparing a major attack on Baiji refinery with 50 car bombs. He also says the Iraqi forces and Jubour tribe fighters stopped a Daesh attack in the Al-Fatha area near Baiji and killed 70 terrorists. Daesh says an Algerian terrorist attacked the Iraqi forces with car bomb in Baiji. (Some Daesh sources say they attacked the Iraqi forces with 8 car bombs today). Daesh Daily comment: While the media focuses on Ramadi, the continuing battles and air strikes in and around Baiji, after Iraq seemed to take predominant control of it, suggest that both sides think Baiji is more important as a strategic location. Daesh seems to be losing a lot of its foreign jihadis trying to take it back, but Iraqi forces are also losing men. As for Ramadi, military action in Anbar has focused more on Falluja lately than on Ramadi. The IWMC says Salahuddin Operations Command forces supported by the PMFs destroyed 2 car bombs coming from Siniya to attack Iraqi forces in Albu Jarad near Baiji. It also says Iraqi Army Aviation launched an airstrike on a Daesh gathering of 25-30 terrorists, most of them Afghan, in Baiji District and destroyed the place completely. The IWMC says the Iraqi Army’s 17th Brigade disassembled 20 IEDs in Sayyed Ghareeb in Salahuddin. Diyala Police Command says its forces and the PMFs liberated Mtaibija east of Tikrit, killed a Daesh “emir” there, and disassembled 100 IEDs. The IWMC says the fight in Mtaibija is still going on. An MoI source says one civilian was killed and 7 injured when an IED exploded near a commercial area in Dora in south Baghdad. Baghdad Operations Command says Iraqi forces disassembled 19 IEDs in different areas of Baghdad. The IWMC says the Coalition Air Force launched 10 airstrikes on Daesh in multiple Iraqi cities, killing 24 terrorists and destroying some of their locations. A Sunni MP accused the PMFs of kidnapping dozens of Sunni civilians in Tarmiya in north Baghdad. A video appeared on social media showing PMFs arresting and insulting Sunni men. An MoI spokesman says the video is fabricated; the armed men in it don’t have the insignia of any PMF unit and those arrested don’t seem “stressed or threatened”. A security source says one civilian was killed and 4 injured when an IED exploded near a popular restaurant on Sheikh Omar Street in downtown Baghdad. Local sources say an IED exploded near a Sahwa checkpoint in Jisr Diyala in east Baghdad killing one Sahwa fighter and injuring 5. Iraqi army officers say their troops need more training on how to deal with suicide bombers and car bombs. They say this is a standard Daesh tactic, intended to create shock among the defending forces and render them incapable of defending. DaeshDaily Comment: Iraqi forces have improved in stopping Daesh car bomb attacks. We have seen many videos online confirming this fact, especially after they got anti-armored vehicle rockets from the US (and Russia and Iran too). However, we agree that special training is desirable, as the trial-and-error methods have cost a lot of lives. Local sources say an IED exploded on an Iraqi army patrol in Muqdadiya, killing 2 soldiers and injuring 3. A video of the fights between Daesh and the Peshmerga in south Kirkuk yesterday. A security source says Daesh moved its injured terrorists from Kirkuk and Salahuddin to Ninewa hospitals. The source says Daesh prevents citizens from approaching them in order not to leak information about their casualties. Eyewitnesses say Daesh closed Al-Jumhouri Hospital in Mosul for residents because of the high numbers of Daesh terrorists treated there. A Kurdish official says 45 Daesh terrorists died from food poison during a group Ramadan breakfast in Mosul. A Peshmerga Commander says Daesh attacked his troops in Sinjar from several sides starting with 3 car bombs and suicide bombers. He says the Peshmerga, supported by Coalition air power, stopped the attack and destroyed the car bombs before they reached their targets, killing 10 terrorists. Daesh says it attacked the Peshmerga in Sinjar with 2 car bombs then entered the Peshmerga locations and killed them. They also claim to have hit a military jet, and say the fight is still going on. Daesh publishes photos of night life in Mosul. And the “Islamic Police” in Tal Afar. A report about the military items trade in Mosul. A security source says the 31st Brigade in the Iraqi Army implemented a search campaign in Iskandariya in north Babel and found a Daesh weapons storehouse. A member of the Security Committee in Babel GC says security forces arrested 5 suspects claiming to be officers in the PMFs, for extortion. The Kurdish internal security agency, Asayesh, issued a curfew in the areas between Tal Abyad and Ras Al-Ain after recent Daesh attacks. Local sources say the Syrian Army commander in Hasaka issued an ultimatum to Daesh terrorists to leave the areas they control in the city before Friday midnight, otherwise he would shell the city with Scud rockets. Eyewitnesses say the Army publicly executed 4 Daesh terrorists in Hasaka, then dragged them through the streets. Daesh publishes a video of the fights in Hasaka. Kurdish forces say they surrounded Daesh terrorists in three areas they captured yesterday in south and east Ain Eissa. The sources say 65 Daesh terrorists and 7 Kurdish fighters were killed in the clashes. The sources say the Coalition launched an airstrike on 2 Daesh convoys coming from Raqqa to Ain Eissa, and continues to bomb Daesh in and around the town. Daesh publishes photos of their attack on T4 airport road in Homs. Daesh publishes a video of their operations in Hama. Daesh publishes photos of daily life in Albu Kamal. Checkpoints in the same town. And services in Aleppo. Saudi Ministry of Interior says they arrested 3 brothers linked to the terrorist attack on the Shia mosque in Kuwait. They say one brother shot at the security forces and injured two of them. They also say a fourth brother is already fighting with Daesh in Syria. Sources in Egypt say Daesh tried in its last attack on Sheik Zwaid Sinai to implement the same tactic used in Ramadi. The plan was to attack several military posts at the same time and booby-trap the supply lines of the Egyptian army. Egyptian military sources say Egyptian forces killed 4 suspects and arrested 3 and defused 3 IED in a security operation in Sheik Zwaid. Daesh publishes photos of their media campaigns in Sinai. A video of Daesh executing 4 Egyptian young men, claiming they were soldiers. Some of the terrorists in the video are Libyans. Local sources in Yemen say a car bomb exploded targeting the security directorate, killing and injuring dozens of people. Some Daesh supporters claimed responsibility for the attack but others refuted. The leader of the Killer Team, an Egyptian hacker squad, says they infiltrated Daesh’s intelligence websites. He also says the Egyptian forces killed the man responsible for the websites in an airstrike on Sinai. Daesh publishes photos of Sirte port in Libya (with no sign they actually control the port). Military sources say 4 Daesh terrorists attacked a Libyan Army unit west of Ras Al-Hilal in east Libya with an RPG rocket and injured one soldier. Tunisian MoI says it arrested 4 men, accusing them of recruiting terrorists for Daesh. The Iranian Revolutionary Guard refutes the reports from Jordan about arresting an Iraqi linked to the RG who was trying to commit terrorist attacks in the Kingdom. Jordanian sources say an Iraqi with a Norwegian passport was caught with 45 kg of explosives in Jarash in north Jordan. The Governor of Kaduna in northwest Nigeria says 20 government officials were killed in an explosion while attending training. The Governor urged the people to stay away from mosques and churches after the recent Boko Haram attacks. Daesh reports collection for Monday. And audio reports from Tuesday. DaeshDaily welcomes your comments and questions. A source in Anbar Operations Command says the Iraqi Army supported by the PMFs attacked Daesh in several areas in Saqlawiya, 22 km north of Falluja, killing 30 terrorists. A local PMFs commander says Iraqi joint forces liberated 2 areas in Saqlawiya killing dozens of Daesh terrorists. Anbar Operations Commander says a joint Iraqi force killed 13 terrorists and stopped a Daesh attack on Ameriyat Al-Falluja. A source in Anbar Police Command says the Iraqi forces stopped a major Daesh attack on Parwana in Haditha District, killing many terrorists and destroying their vehicles. The IWMC refutes the reports about Parwana falling to Daesh and says the attack was foiled. Another source says Iraqi Army Aviation killed dozens of Daesh terrorists in airstrikes on different areas in Anbar. The source says many terrorists left their positions and headed to the Syrian borders after the airstrikes. Another security source says Daesh tried to attack a security barrier with 6 car bombs in west Anbar but the Iraqi force killed all 6 terrorists and stopped the attack. Anabr GC says Iraqi military leaderships decided to start the attack on Daesh in Falluja instead of Anbar. The major Sunni bloc in the Iraqi Parliament repudiates the use of the bomb barrels on Falluja by the Iraqi forces and says 300 barrels fell on the city since the beginning of the year. A local tribal leader says Iraqi forces surrounded Falluja from the north and the west and they are only 5 km away. He also says Daesh ordered its military councils to leave the city and left only snipers and suicide bombers. The PMFs Command in Anbar says Daesh terrorists started to shave their beards and disappear from Qarma and Falluja areas. The Command asks the Iraqi government to tighten the security procedures in Bzaibiz crossroad between Anbar and Baghdad in order to prevent the terrorists from running away to Baghdad. A photo circulates on social media about Daesh putting anti-aircraft machine guns in Falluja mosques. DaeshDaily Comment: It is a common practice for Daesh, and AQI before that, to use mosques and civilian houses as weapon storehouses or snipers hideouts etc., and when the Iraqi forces or the Coalition bomb these places the terrorists used the photos in their media campaigns. Iraqi MoD says the Iraqi Air Force carried out airstrikes on Daesh locations in Baghdad, Salahuddin and Hawija. (Video) The MoD says the IAA also killed 4 terrorists and destroyed 2 vehicles in the Sakran area in northwest Anbar. Daesh publishes a video of civilians injured by the airstrikes on Ramadi. Daesh publishes a video from Mosul. Jazeera Operations Commander says Iraqi forces stopped a Daesh attack on Haqlaniya and Khasfa in Haditha District and destroyed 7 car bombs. Anbar Operations Commander says Iraqi forces killed 6 Daesh terrorists and destroyed a construction shovel bomb in Humaira near Ramadi. He also says they destroyed 3 vehicles and a Daesh house near Madhiq east of Ramadi. Local sources say Daesh has added checkpoints in Falluja and is preventing families from leaving the city. Daesh publishes photos of building new shops in Falluja. A commander in a Shia militia says his troops captured Shiha, just north of Falluja, and are advancing toward the city. The Spokesman of the PMFs refutes the reports about Daesh regaining areas in Baiji. He says Daesh tried to attack the city center with suicide bombers but they failed. The Speaker of the Iraqi Parliament visits Tikrit and meets with the Provincial Government and confirmed the IP’s full support to the reconstruction efforts and to the displaced people return. The Speaker, accompanied by the Iraqi Minister of Defense, made a tour in Tikrit streets and talked to the citizens there. A video of AAH members messing up with a Daesh sniper. The MoD says Iraqi Army Aviation launched an airstrike on Daesh in Albu Jwary near Baiji, killing 10 terrorists and destroying one vehicle. Iraqi Federal Police Commander says a joint Iraqi force launched a surprise attack on Daesh in north Tikrit, killing 3 terrorists and destroying 6 car bombs. The MoD says the IAA killed 35 Daesh terrorists, mostly foreign fighters, west of Speicher base in Salahuddin. The Speaker says 4,000 families have returned to their homes in Tikrit so far and 4,000 more will return in the next few days. The Iraq War Media Cell says the Iraqi Air Force destroyed 100 car bombs and killed several Daesh explosives experts in a factory on the road between Hawija and Kirkuk based on information obtained by the Baghdad Security Directorate, part of the National Security Service. A security source says unknown armed men in a vehicle shot 3 civilians in a commercial area in Bani Saad, 5 km southwest of Baquba. A security source says an IED exploded near a popular market in east Baquba, killing 2 civilians and injuring 6. PM Abadi issues orders to arrest the Iraqi pilot who bombed Al-Niariya area in east Baghdad by mistake. Twelve people were killed or injured in the bombing and 3 houses were destroyed. The Iraqi War Media Cell says the Sukhoi had some technical problem that led to the bombing. The Chairman of the Displacement Committee in the Iraqi Parliament says the government’s efforts to support the displaced people are not sufficient. He asks to the government to establish an independent catastrophes commission to deal with the issue. Iraqi Minster of Defense says Iraqi will receive the F16 jets from the US according to the schedule and he will personally attend when the jets arrive to Iraqi airbases. He refutes the news about the need for Jordanian airbases and says they are just rumors. A leader in the PMFs says 18 people were arrested in different areas in Baghdad claiming to be PMFs members. Some of the suspects extorted people for money, gathered donations and moved stolen goods in fake PMFs cars. A security source says an IED exploded on the main road in Bakriya in west Baghdad killing 2 civilians and injuring 7. A Peshmerga commander says 80 Daesh terrorists were killed in their major attack on south Kirkuk. He says Daesh managed to capture one village but they were kicked out of it later. He also says 6 Peshmerga fighters were killed and 32 injured. Iraqi MoI says the Coalition launched an airstrike on a Daesh convoy in Tal Afar, killing 9 terrorists and destroying 5 vehicles. A security source says the Coalition killed a Kurdish Daesh commander in an airstrike on Qayyara south of Mosul. A Kurdish official says Daesh blew up the historical Um Al-Maona Church in Mosul. He said the explosion destroyed 10 houses and killed 4 children who were near the Church. A local source says Daesh executed an Iraqi female journalist who was arrested last year. A local source says Daesh arrested 123 people accusing of having radios in their possession. The Iraqi MoD had dropped leaflets on Mosul asking people to carry radios with them and said there would be an FM station especially for Mosul to instruct the people about the liberation. A video of the Christian, Yazidi and Shabak training with the PMFs. DaeshDaily Comment: If the Iraqi government, and the Iranian backed militias, don’t mess things up, the PMFs could be a good start for a real national Iraqi army. Dhi Qar police says they arrested 14 members from Al-Yamani group, a radical Shia cult in southern Iraq, while they were planning for several terrorist attacks. A security source says Iraqi Intelligence Service arrested one of the suspects in the Speicher massacre, in downtown Basra. A Kurdish source says 11 regiments of Syrian Kurds who were trained by the KRG will return to their areas in Syria to fight Daesh. The source says these forces will go back based on an agreement with the YPG and the PYD. Kurdish military sources say Daesh launched heavy attacks in Suluk, Ain Eissa and other areas near Tal Abyad but the Kurdish forces stopped the attacks and killed 35 terrorists. A spokesman of Al-Burkan Operations Command refutes the reports about Daesh controlling Ain Eissa and says the Coalition bombed Daesh in the area and his forces stopped the attack. Daesh publishes a video and photos of the fights with the Kurdish forces. And a photo of the suicide bomber who attacked in Ain Eissa. A Kurdish military source says the Kurdish forces ambushed a Daesh convoy heading to Hasaka, killing dozens of Daesh terrorists and destroying their vehicles. The source also says Daesh attacked Syrian government forces with a car bomb killing 5 of them. Daesh publishes a video of executing “spies” in Syria. Daesh rehabilitation training for teachers in Manbaj in Aleppo. Daesh anthem in Yugur language. Daesh says 2 of its terrorists attacked the Libyan Air College in Misrata and destroyed 13 jets before returning safely. A collection of Daesh daily reports. Al-Akbar Lebanese newspaper says local armed groups were formed recently to fight Daesh inside Falluja. The groups attacked Daesh several times including an attack on the house of Daesh’s deputy Wali (governor) of the city and the assassination of 4 Daesh terrorists last week. DaeshDaily Note: We found the link to the original source, Al-Akhbar, but it wasn’t working. Local sources say 10 civilians including 4 children and their mother were killed in the Iraqi bombing on Zoba’a villages south of Falluja. Daesh publishes photos of the results of the bombing on Falluja. Daesh publishes photos of manufacturing IEDs in Falluja. Iraqi War Media Cell says Baghdad Operations Command forces supported by the IAF and IAA and the Coalition air power killed 17 Daesh terrorists in Qarma and destroyed 14 locations and 2 tunnels in addition to an armored construction shovel. The IWMC also says BOC killed 10 terrorists and destroyed one vehicle in Abadi area. Anbar Operations Command killed 3 terrorists in Iwaisat in south Anbar. A local PMFs Commander says the PMFs attacked Daesh in Luhaib south of Qarma and killed 25 Daesh terrorists. He also says he was wounded in the attack. A member of Anbar GC says Daesh established a Sharia court in Ramadi. Anbar Operations Commander says Iraqi forces stopped a Daesh attack on Qarma killing 30 terrorists and destroying 4 vehicles carrying machineguns and rocket launchers in addition to 2 car bombs. He also says Iraqi ground forces are about to clear Qarma and its surroundings completely while Daesh is trying to stop them by digging trenches and sand barriers. Anbar Police Commander says Iraqi forces attacked Daesh in the northern outskirts of Ramadi killing 14 terrorists, including foreigners, and destroying 3 Humvees, a car bomb and a rocket launcher. A security source says Iraqi forces supported by tribal fighters launched a preemptive attack on Daesh while preparing to launch a major operation on Khaldiya from 3 sides. He says the attempt was defused and dozens of Daesh terrorists were killed or injured. A security source says the Iraqi Air Force and Army Aviation launched airstrikes on several areas in Anbar based on precise intelligence information and killed Daesh leader in south Falluja Ayad Al-Marzouqi and 5 other terrorists in one of the airstrikes. Jazeera Operations Commander says 150 food trucks and 6 fuel tanks arrived to Haditha. Anbar GC Chairman asks the Minister of Interior not to transfer 40 of Anbar police officers to Baghdad and says Anabr needs them to fight Daesh. Daesh publishes photos of executing an Iraqi soldier in Anabr. They didn’t mention he was a Shia, so most likely he was a Sunni. Saraya Al-Khorasani, a Shia militia, says they cut Daesh supply lines between Himrin hills and Al-Zarqa village in east Salahuddin. A security source says a general in the PMFs was killed in the fights against Daesh in Baiji. The source also says 3 Daesh terrorists were killed in clashes with the Iraqi forces in Fatha in east Baiji. A source in Salahuddin Operations Command says Iraqi forces captured 90% of Baiji and controls the three main roads with Tikrit, Siniya and the refinery. He also says more reinforcements arrived to the Iraqi forces in order to attack Shirqat. Daesh says an Iraqi suicide terrorist attacked Iraqi forces with a car bomb in south Baiji. An MoI source says one civilian was killed and 7 injured in an IED explosions in Mashtal in east Baghdad. The IWMC says the Iraqi Air Force launched 18 airstrikes and the Iraqi Army Aviation launched 9 airstrikes all over Iraq. The IWMC also says the Coalition launched 12 airstrikes killing 21 terrorists and destroying 5 vehicles and 6 locations in different areas in Iraq. An MoI source says one civilian was killed and 4 injured in an IED explosion near a fish market in Mada’en in south Baghdad. Local sources say an employee in the Shia Endowment was killed when a sticker IED exploded in his car in Shaab in north Baghdad. A police source says a body of unknown man was found shot in Baladiyat in east Baghdad. A police source says unknown armed men shot and killed a civilian in Tarmiya in north Baghdad. Iraqi security forces launch search campaigns in Huseiniya and arrests terrorist suspects (video). Iraqi and Syrian sources say Daesh defused a coup attempt on Baghdadi and executed 13 of its leaders. Diyala GC says 30,000 families were displaced from their houses when Daesh took over some parts of the governorate. The GC says 2,500 families returned to their houses in north Muqdadiya but still no family has returned to Jalawla and Saadiya but they expect 200 families to return to Saadiya next week. An MP from Diyala says the Iraqi government should give a bigger role to the Diyala tribes who fought Daesh and support them in order to secure their areas and hold the ground. Dijla Operations Command says the PMFs launched a search campaign near Diyala River and arrested 2 suspects and confiscated IEDs and explosive materials. An MP from Diyla says 45 officers from Jalawla Emergency Regiment, who ran away last year when Daesh captured the subdistrict, returned to their jobs based on the amnesty given by PM Abadi. She says the MoI approved the return of 79 officers but the remaining 34 have not been reinstated yet and she will check with the MoI about them. A security source says an IED exploded in north Kirkuk city killing 2 civilians. A security source says Coalition drones, based on precise intelligence information, bombed five Daesh locations in Hawija killing 15 terrorists and injuring 26. A security source says Daesh detonated the houses of Hawija Police Director and his father in a village near Hawija. A source in Ninewa Operations Command says the IAA bombed 2 Daesh houses in Hammam Al-Aleel south of Mosul killing and injuring dozens of terrorists. Turkish PM says their troops will move (into Syria) if the Turkish security was threatened. He also says according to the current situation, a unilateral Turkish interference is not on the table now. A Turkish official says Ankara will make a move if the Kurdish forces capture Jarablus, a Syrian city near the Turkish border west of the Euphrates. A new video of Kobane after Daesh’s attack last week. Kurdish forces say the liberated several villages and hills in south Kobane and Tal Abyadh countryside killing 6 Daesh terrorists. A Syrian Sunni mosque Imam was killed by an IED under his chair in the grand mosque in Damascus countryside. Syrian Network for Human Rights says the Syrian regime killed 5 journalists in June while Daesh killed 4 in the same period. Daesh publishes a report about their recent attacks in Sinai. And the Egyptian authorities publish a video. Egyptian forces launch search campaigns in several areas in Sinai and confiscate weapons and explosives. They also killed two terrorists and found the bodies of 24 others. The Israeli army says a rocket was launched from Sinai on south Israel. Arabic media reports an explosion in the National Security Building in Asyut in Egypt. Egyptian authorities publish new details about the assassination of the Egyptian general attorney. The attorney survived the explosion but a speeding car hit him intentionally after he left his armored car. Libyan military sources say Libyan army stopped an attack by the terrorist groups on Buhdima area in Benghazi. Local source say Fajr Libya bombed Daesh location in Nawfaliya injuring several terrorists. Kuwaiti people respond to Daesh attack on a Shia mosque with a unified Sunni-Shia Friday prayer. Saudi authorities say a police officer was killed and another was injured while trying to arrest a suspect in Al-Ta’if. They also say they arrested 3 Daesh supporters. Libyan intern Prime Minister says a national unity government will start to fight Daesh as soon as it gets formed. The Tajik High Courts sentences a man to 18 years in prison for recruiting terrorists to join Daesh. An official source in Anbar says Iraqi security forces supported by the PMFs cleared the Al-Hitawiyeen area south of Falluja completely, killing dozens of Daesh terrorists, and moved on to liberate Zoba’a villages. Spokesman of the PMFs says they have finished all preparations for the Falluja liberation battles. He says the attacks on Hitawiyeen and Zoba’a were preliminary to these battles. Daesh says the Iraqi forces attack on Zoba’a failed. Daesh publishes video about the fights near Falluja. The MoD says a force from Iraqi Military Intelligence launched a rocket attack on Daesh locations in Falluja, killing 21 terrorists including the Saudi Abu Abdulla. A source in Falluja hospital says 23 civilians were killed and 12 injured in the bombing on Falluja by the Coalition and the Iraqi air forces. He says barrel bombs were used in the airstrikes. DaeshDaily Comment: This is the first time we hear about barrel bombs used in Iraq and we think it’s highly unlikely. A security source says Iraqi forces liberated areas around Subaihat near Qarma and killed several terrorists, including a Libyan called Abu Saeed. The MoD says Iraqi Army Aviation destroyed 2 Daesh locations in Subaihat and one vehicle. Iraq’s War Media Cell says Baghdad Operations Command troops supported by the PMFs stopped a Daesh attack on Iraqi forces in Qarma, killing 25 men including their Daesh military leader in Qarma, the Iraqi Abu Ismail Al-Luhaibi. Daesh says it attacked the Iraqi forces near Qarma, killing many of them and destroying 2 Humvees. Anbar Deputy GC Chairman says Iraqi forces supported by tribal fighters stopped repeated Daesh attacks on Ameriyat Al-Falluja during Ramadan. The MoD says Iraqi Army Aviation launched an airstrike on Malahma east of Ramadi, destroying a Daesh location and 6 vehicles. Iraqi MoI publishes a video saying Iraqi forces captured the Albu Assaf area north of Ramadi. A source in Jazeera Operations Command says Iraqi Army Aviation launched an airstrike on Daesh by the Al-Waleed border with Syria, killing 5 terrorists and destroying a vehicle. Local sources say several Iraqi soldiers were killed or injured in a Daesh attack on Jubba in Baghdadi subdistrict. A PMFs Commander says Iraqi forces are surrounding Daesh leaders in houses on the outskirts of Baiji District. He says Daesh is trying repeatedly and unsuccessfully to break the siege on those houses. Eyewitnesses say Daesh arrested 54 people in Shirqat after finding wall graffiti calling the people of Shirqat to fight Daesh. DaeshDaily comment: Reports over the past few days suggest that the government has won the long showdown battle for Baiji, at least for now, but with Daesh still contesting this strategic location. Shirqat, an ancient city just northwest of Baiji on the Ninewa border, is the next target on the heavily contested road back to Mosul. Daesh publishes photos of the “ongoing” fights in Baiji. Videos of the Iraqi forces in Baiji. Iraqi Minister of Interior visits Baiji. Local sources in Baiji say 7 Iraqi soldiers were killed and 13 injured in a car bomb attack in Fatha east of Baiji. The MoD says Iraqi Army Aviation killed 17 Daesh terrorists and destroyed a vehicle carrying a machine gun near the Strategic Line. Daesh says it detonated a booby-trapped house on Iraqi soldiers in Huwaish northwest of Samarra, killing 9 of them. A security source says an IED exploded on the roadside in Tuz, east of Tikrit, severely injuring a high school girl and two children. An MP says Iraqi will receive 3 F16 jets from the US in the coming days out of the 36 in the agreement. According to the deal, the jets will fly from Jordan because Iraq still doesn’t have proper airbases. The MoD says it received 4 military helicopters from Russia, which will be added to Iraqi Army Aviation’s fleet. An MoI source says one Sahwa fighter was killed and 4 injured when an IED exploded at their checkpoint in Mada’in in south Baghdad. An MoI source says 2 civilians were killed and 6 injured in an IED explosion in Abu Dsheer area in south Baghdad. Local sources say Iraqi police found 3 unknown bodies shot in the head and the chest in Hor Rajab in south Baghdad. Local sources say 4 civilians were injured in an IED explosion in Dora in south Baghdad. A security source says an IED exploded in Rasheed in south Baghdad, killing one civilian and injuring 4. A police source says an IED exploded in Mashtal in east Bagdad injuring one civilian. Vice President Osama Al-Nujaifi says the Iraqi government should provide safe places for civilians in Anbar before the decisive battle. The President, Council of Ministers, and Parliament have agreed to form a committee to follow up on the national reconciliation process. The Spokesman of the PMFs says the allegations of some Shia militias about the US supplying Daesh with weapons were baseless and without any proof. A video of Christian Iraqi volunteers joining the PMFs. The PMFs publish photos of the dead bodies of Daesh leaders who appeared in previous Daesh publications. A video of Iraqi soldiers arresting members of a Daesh sleeper cell in Baghdad. The Chairman of the Displacement Committee in the Iraqi Parliament says national leaders reached a deal with Diyala MPs and officials to have the displaced people from Diyala return to their houses in 60 days. He says 500,000 families will return according to this deal. DaeshDaily comment: It might be a misprint, but 500,000 families is more than the entire population of Diyala and it would be a real problem if an official in this position doesn’t know that. Local sources say the bodies of 3 people kidnapped by the militias 2 days ago were found on the road between Muqdadiya and Baquba. A security source in Kirkuk says Daesh terrorists started to flee from Hawija to Shirqat with the advance of the Iraqi forces in Baiji. A security source says dozens of Daesh terrorists were killed or injured in an Iraqi airstrike on their convoy in Hawija. Kirkuk police says they raided several areas in south Kirkuk and arrested 11 suspects and confiscated 2 cars intended for use in terrorist attacks. A Peshmerga commander says his troops attacked and entered Al-Ghobiya village, a Daesh stronghold in southwest Kirkuk. A video of the Peshmerga killing the suicide terrorist who tried to attack a Shia mosque in Kirkuk last week. The Mayor of Khales in Diyala says 3 Daesh leaders in Hawija in Kirkuk are former Baathists from Khales. A local source in Ninewa says the Peshmerga supported by the Coalition air power captured 3 villages from Daesh in Qayyara southeast of Mosul. Kata’eb Al-Mosul says they targeted a Daesh pickup in Mosul with an IED, killing 2 terrorists. They also say they shot and killed 2 Daesh fighters in the Nahrawan area of the city. A Peshmerga Commander says Kurdish forces supported by Coalition air power bombed Daesh in Kassak, killing 10 terrorists. Local sources say Daesh executed a Sunni mosque Imam in Mosul, Sheikh Yasser Younes. The Sheikh was one of the leaders of the Popular Movement that started the demonstrations in Mosul against former PM Maliki before Daesh took control of the city. Daesh publishes photos of paving roads in Tal Afar (using Iraqi government equipment). A security source says the Director of Electricity Distribution in Southern Iraq survived an IED explosion that targeted his car in downtown Basra. Turkish media says more military reinforcements arrived at Kelis on its border with Syria. The director of Syrian antiquities says Daesh destroyed a historical statue in Tadmur museum. The statue was more than 3 m high and weighed 15 ton Daesh says it confiscated some smuggled statues and destroyed them. A report about Daesh smuggling antiquities in Raqqa. Kurdish forces say they killed 4 Daesh terrorists disguised as YPG and FSA fighters in the Kobane countryside south of the city. Kurdish forces say they killed one Daesh terrorist and arrested 11 trying to sneak into Kobane from Turkey. Kurdish Red Crescent in Jazeera says they established a center to receive the displaced families from Hasaka. They also say they need more help from international organizations. Turkish media sources say the Kurdish forces met with the Syrian minister of defense in Qamishli and reached an agreement regarding the withdrawal of the Syrian forces from the city. The spokesman of the Kurdish forces says there is no agreement with the Syrian regime. Daesh says the Coalition air force helped the Syrian regime’s forces in Hasaka for the first time by bombing Daesh locations and movements while they were attacking Syrian forces. Daesh says it took over more areas in Hasaka. Syrian army says more reinforcements arrived and it is continuing its advances in Hasaka. Daesh says its terrorists took over 10 buildings and are advancing in the Damascus countryside. Daesh religious seminars in Al-Bab city in Aleppo. And traffic police. A Tunisian official says 8 more people were arrested for being directly linked to the terrorist attack last week. A Tunisian newspaper says Daesh is sending Libyan and Tunisian terrorists to other countries after they get trained in Sirte in Libya. The newspaper says the Tunisian authorities refuse to allow any Libyan with a passport issued in Sirte from entering Tunisia because of Daesh control of the city. One of the people trained in Libya was the terrorist responsible for the attack on the hotels in Tunisia. Eyewitnesses say a car bomb exploded near the Yemen Central Bank in Sanaa, killing and injuring many civilians. Egyptian army says 17 soldiers and 100 “radicals” were killed in the clashes in Sinai. Egyptian army publishes photos of dead Daesh terrorists and their weapons in Sinai. Egypt closes Al-Salloum border with Libya. A full report about Daesh attacks in Sinai. Moroccan authorities say they arrested 9 people who were recruiting for Daesh online from different cities. Local sources say Daesh shelled civilian houses in Derna in Libya. A local source says 6 Daesh terrorists ran away from a prison in Derna but the Kata’eb Abu Sleem militia found them and killed them. Local sources in Misrata in Libya say a shipment of Turkish weapons and military clothes arrived for the “terrorist groups” in Libya. Daesh captures Sawawa, a town 7 km from Sirte in Libya. A Nigerian MP says Boko Haram attacked 2 towns near Monjon, killing 48 civilians and injuring 11. A Sahwa leader says Daesh opened an elementary school for girls less than 12 years old specialized in radical teaching in downtown Falluja. A source in Anbar Operations Command says the security forces issued a curfew and launched a search campaign in Ameriyat Al-Falluja arresting 9 Daesh terrorists who entered the town as displaced people. Baghdad Operations Command says it started a large military campaign in coordination with Anbar Operations Command to liberate the areas southwest of Falluja and north Ameriyat. A police source in Ameriyat Al-Falluja says Iraqi Army Aviation launched airstrikes on Daesh in Zobaa’ villages east of Falluja killing dozens of terrorists and destroying their refuges and vehicles. A source in Anabr Operations Command says 13 Daesh terrorists were killed in a failed attack on a security barrier in Habbaniya east of Ramadi. Anbar Operations Command says the IAA destroyed a house and killed 10 Daesh terrorists in east Habbaniya. He also says Iraqi forces are preparing to enter Ramadi. Local sources say 3 Iraqi forces members were killed and 12 injured in the clashes in Habbaniya. Iraqi Government’s War Media Cell says the Iraqi 1st Rapid Intervention Unit recaptured Hitawiyeen Dam south of Falluja. Local sources say the clashes in the area are still going on. A security source says the Coalition air power supports the Iraqi forces in these clashes. Daesh says it stopped the Iraqi forces attack and killed many Iraqi soldiers. Iraqi MoI says Iraqi forces destroyed 3 Daesh hideouts in east Qarma and killed a terrorist trying to plant an IED. Iraqi Minister of Defense visits the liberated areas in Qarma and meets with the tribal leaders there. Daesh publishes a photo of the Syrian terrorist who attacked the Iraqi forces in Nukhaib on Tuesday. Anbar GC Chairman in a joint press conference with Kerbala governor refutes the recent rumors about the behavior of the PMFs in Nukhaib. Many news sources reported the PMFs burned Sunni people houses in Nukhaib. He also says there are 7,000 tribal fighters being trained by the Americans in Habbaniya and asks the government to arm Anbar tribes. A source in Anbar GC says the Anbar Tribes Conference held in Baghdad today discussed the lack of arming for the Anbar tribes and the displacement problem. Daesh publishes photos of Hit city. Daesh kills young men in Falluja by throwing them from a building accusing them of homosexuality. An official at the PMFs says Iraqi Joint Forces started the military operations against Daesh in the areas around Baiji and they are surrounding Siniya from 3 sides. Iraqi Federal Police Commander says the Iraqi Joint Forces liberated Baiji completely and reached the main road between Baiji and Mosul. Anbar GC says it is highly unlikely for the displaced families to return to their houses in Baiji anytime soon because of the amount of damage in the city. Local sources say a Daesh terrorist attacked an Iraqi army tank with a car bomb in Baiji. Daesh says a Tajik terrorist attacked the Iraqi forces with a car bomb in Hajjaj area in south Baiji. Daesh publishes a video from Baiji. The Mayor of Shirqat says families from the city left after putting their houses as a guarantee to Daesh and are crossing through Ninewa and Anbar to go to Nukhaib. He says Daesh started to arrest young men in Shirqat in order not to join the Iraqi forces. He also says Daesh distributed form of Baya’ (allegiance) on the people of Shirqat to force them to fight with the terrorists. A security source in Salahuddin says Iraqi Army Aviation launched an airstrike on a Daesh convoy in Shirqat killing 22 terrorists and destroying 6 vehicles. The source says the IAA intensified its airstrikes on Shirqat following Daesh terrorists running from Baiji. Local sources in Shirqat say Daesh ordered his terrorists to cover their faces while in the city in order not to be identified. Samarra Operations Commander says the IAA killed 21 Daesh terrorists and destroyed 2 vehicles based on intelligence information west of Samarra. Daesh publishes photos of shelling the Iraqi forces in Samarra. The local (Sunni) Commander of the PMFs in Tikrit says the PMFs made an agreement with the Salahuddin Police Commander and Operations Commander to allow boats to move between Tikrit and Al-Alam. Daesh destroyed the bridge between the two areas. An MoI source says 3 PMFs fighters and 4 Iraqi army soldiers were killed in clashes between the Iraqi Army and the PMFs in Zaidan village in Abu Ghreib in west Baghdad. The Source also says 11 others were injured. DaeshDaily Comment: We couldn’t confirm this news from any other source so far. Iraqi MoD asks the former members of Saddam’s security agencies to report to the Retirement Directorate. A security source says 2 unknown dead bodies were found in 2 different areas in Baghdad. Another source says a third body was found in Jisr Diyala area in east Baghdad. An MoI source says 2 civilians were killed and 7 injured when an IED exploded in Nahrawan in south Baghdad. Local sources say a civilian was killed and 8 injured when an IED exploded in Hay Al-Amel in south Baghdad. A security source says an IED exploded near a wholesale market in Yousifiya in south Baghdad killing one civilian and injuring 9. Iraqi Central Investigative Court says 855 suspects of terrorism were released during last month. Baghdad GC says the MoI should be held accountable for the recent assassinations and incidents in Baghdad because it is in charge of the security file. The GC also says some political fronts are responsible for the assassinations. Iraqi Ministry of Human Rights says 34,000 civilians from central and southern Iraq were killed or injured during 2014. A member of Diyala GC says the Liberated Areas Reconstruction Fund allocated 80 billion Iraqi Dinars (around 65 million USD) to rehabilitate the liberated areas in Diyala. The GC says 13,000 out of 30,000 displaced families have returned to their houses and the return continues. DaeshDaily Comment: This number seems very low for an entire governorate that was heavily infected with Daesh. 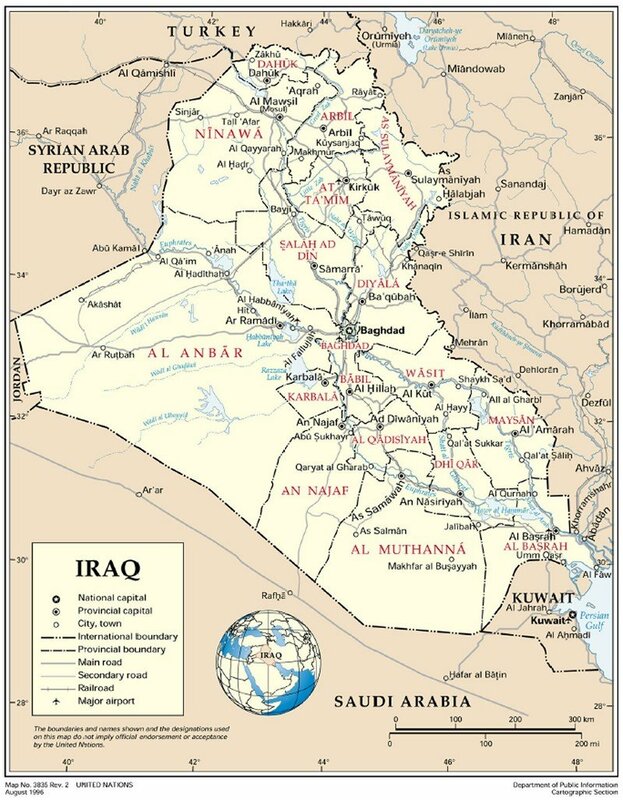 An MP from Diyala says Iraqi forces should deal with the “infected” areas in Balad Rouz and Mandili in east Diyala because of the recent security incidents in those areas. He says the terrorists “incubators” there are becoming active again because the Iraqi forces are busy in Salahuddin and Anbar. The Spokesman of the PMFs says they refuse participation of any armed force “with political affiliation” in the upcoming Mosul liberation battles, especially the forces of the former Ninewa governor Atheel Al-Nujaifi. A security source says the Coalition killed 5 Daesh terrorists and injured many others and destroyed 3 vehicles in an airstrike on Mahalibya area west of Mosul. A security source says Daesh executed an Iraqi Colonel and his son publically in Mosul. The source says the Colonel and his son used to work in the Anti-Corruption committee. A source in the Peshmerga says the Peshmerga supported by the Coalition air power stopped another Daesh attack on Al-Khazer east of Mosul killing or injuring 16 terrorists. Daesh publishes photos of shelling the Peshmerga south of Mosul. A security source says Jubour tribe clashed with Daesh in Badoush, 35 km west of Mosul. The source says 6 Daesh terrorists and 8 Jubour men were injured in the clashes. A Kurdish MP in the Iraqi Parliament says the KRG’s President Barzani sent his answers to Mosul Fall Investigative Committee. The MP says Barzani refused to answer some of the questions because they were personal and irrelevant to Mosul’s fall. The Chairman of the Security Committee in Ninewa GC says the plan to liberate Mosul has been done and the operations will start very soon. He says Iraqi Federal Police and the Golden Division will have a role in the plan in addition to the other Iraqi forces and the Islamic Resistance (Shia militias) and the PMFs. The MoI says the arrested 8 suspects in Basra from a new religious cult called Jund Allah were planning to kill Shia and Sunni clerics to create sectarian war. A security source says 2 Daesh terrorists disguised as displaced people were arrested in Diwaniya. Turkish Foreign Minister says Turkey will implement military operations in Syria if necessary. The UPD, a Kurdish party in Syria, issues a statement asking the US and the international community to prevent and Turkish interference in Syria. World Food Program says it will cut the food supplies to the Syrian refugees in Lebanon to the half and might stop the program completely in Jordan because of the lack of funding. Local sources say the clashes continue in Hasaka but some families are returning to their houses in the northern areas of the city. They also say the Syrian regime’s helicopters threw 2 barrel bombs and bombed several areas in east Hasaka. A local source in Tal Abyadh says when the Kurdish forces entered the city some Daesh terrorists flee to Turkey or Raqqa but some of the local terrorists just shaved their beards and stayed in the city. The source says the same people worked as sleeping cells for Daesh and helped them in their recent attack on the city. DaeshDaily Comment: The same could be said about newly liberated Iraqi cities where local terrorists just go back home as civilian or as displaced people. However, that doesn’t justify the bad treatment for the civilians by the liberating forces I Iraq or in Syria. A more substantial solution should be found to address this problem. A Syrian Kurdish military source says the Kurdish forces and its allies from Al-Burkan Operations started a military operation on Sireen town where some of Daesh terrorists who participated in the recent attack on Kobane had come from. The source says the forces captured 5 villages but refused to mention the names of the villages for security reason. Bas News says the operation will be a “revenge for Kobane martyrs”. Daesh publishes a video of public mutilation in Homs. Daesh publishes photos of shelling the Syrian army near Damascus. The Spokesman of the Egyptian Army says 17 terrorists were killed in airstrikes in north Sinai. He says the clashes continue in Sheikh Zwaid area. Terrorists attacked 15 Egyptian Army spots and killed 64 soldiers in north Sinai. The Egyptian authorities declared an emergency status in Sinai and formed a special military operations room. Daesh claimed responsibility for the attacks and says its terrorists are surrounding the police station in Sheikh Zwaid. Daesh says it attacked 15 Egyptian army and police locations and killed 80 Egyptian soldiers in the attacks. Al-Shabab says an Ethiopian soldier in the African Union mission left his unit and joined them.